Design the perfect room for your baby or toddler with a few simple tips for the nursery. 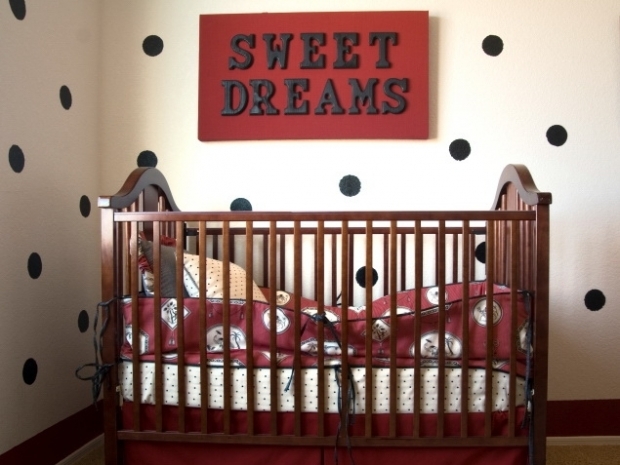 Try these baby room decorating ideas and find your own baby room themes. 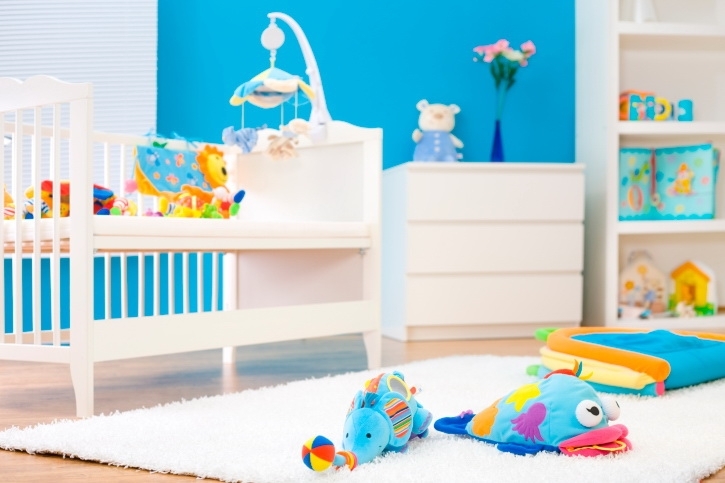 Designing the best nursery is easy once you put together a few baby room ideas. 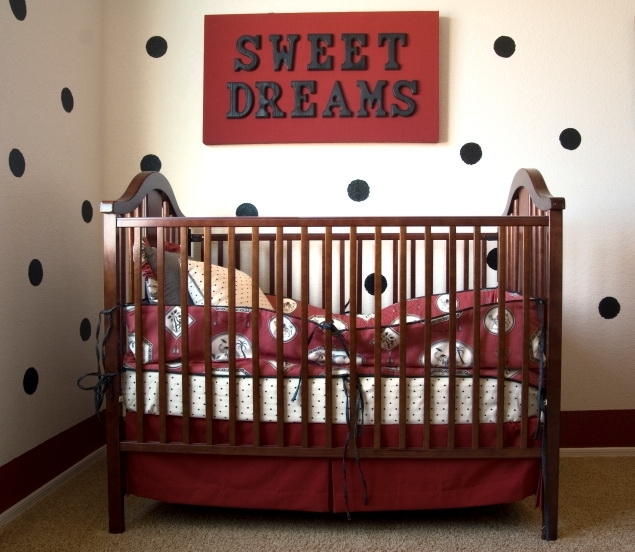 Start with a few simple tips and ideas that can inspire you and expand into even more baby room decorating ideas once you get started. 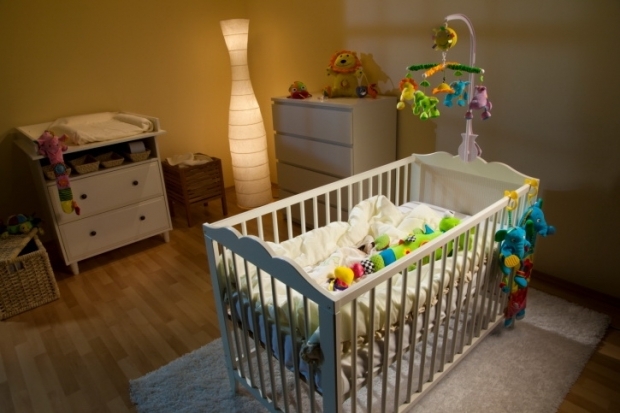 The ideal baby room is a combination of past, present and future. You can incorporate heirlooms and vintage pieces of furniture, but always make sure the room is suited for the age of your baby and start thinking about storage space. The best way to create a baby room from scratch is to paint the walls with colorful designs and keep the furniture minimal for now. Newborns only see black, white and gray, followed by red as the eyesight develops. Keep red away from a baby room, since it can be confusing for the little baby in the first few months. 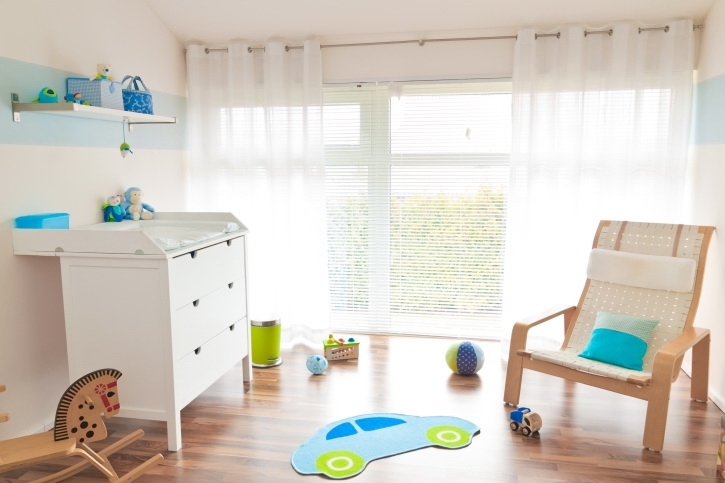 Keep in mind everything is going to get dirty when you're creating the nursery design, so keep it simple: hardwood floors covered by rugs are the best idea. Mix modern and practical elements like a cloth storage rack with more stylish furniture or keep it very simple with a feature wall in a bright color. Pitching up a tended net above the headboard of the bed can give your little one a safer feeling when he's in bed and you should always remember to keep the bed away from direct sunlight, using colorful curtains. 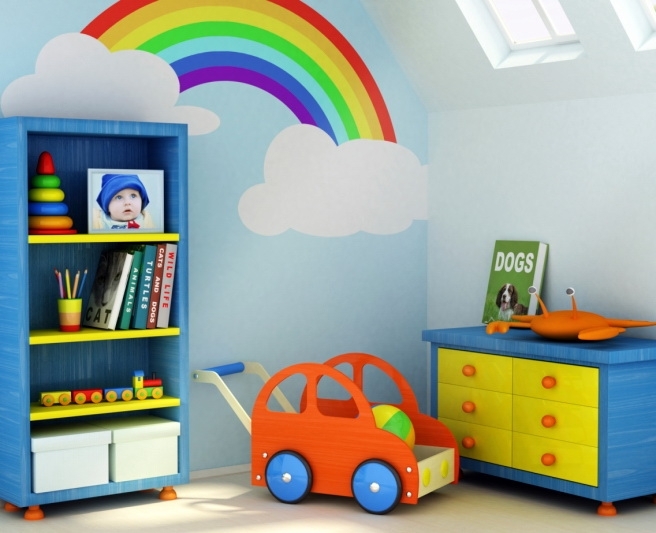 Wooden furniture is a classic nursery staple and will look good for a few years until your child is old enough to have a say in the redecorating process. 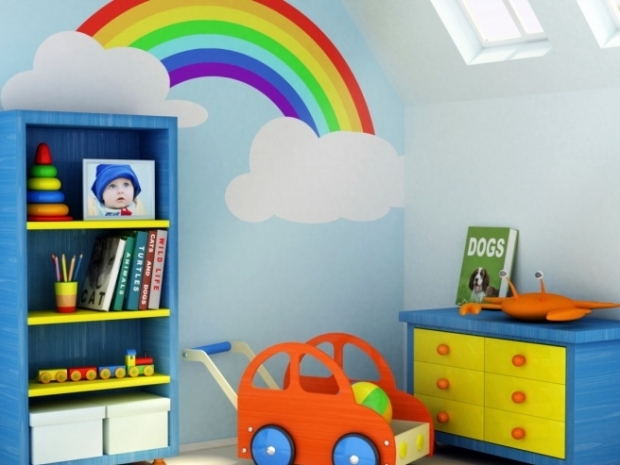 Use your old toys to decorate the nursery and for a sophisticated look paint over-sized stripes on the walls. This allows for a lot of freedom as you can always pick one color of the design to paint over. Old children's books can be a wonderful source of inspiration and you can frame illustrations from them on the walls, preferably in groups. Start with your favorite childhood stories and create a look that's perfect for your little boy or girl, based on the magic of children's books. Nursery themes don't have to be based on cliches, like cars for boys and princess inspired looks for girls. As long as you have a few ideas you can mix them to create a new theme or simply go for animals and birds. As long as you decorate the room with practical furniture and a soft color palette, your newborn won't care too much about the baby room design. When Do You Start Producing Breast Milk?